Although Blue Venom is very much Indica dominant, it has an average of 20% THC. This can vary with growing conditions, but it is unlikely to dip below 16% or to go above 23%. Average CBD content is about 0.29%. What this means in practice is that to begin with you will experience fast-acting pain relief and a high which starts as uplifting and can build up towards great happiness, even euphoria. In many cases focus is improved, users feel their senses are heightened and that they have a better creative flow. At the same time, however, Blue Venom is very much Indica dominant so the high is more mellow and chilled than you would expect from a pure Sativa. Once the initial high has ebbed, the Indica traits come straight into the foreground and coax users into a feeling of deep and peaceful relaxation, although the fact that this strain is 30% Sativa does keep the overall feeling lighter than it would be in a pure Indica strain. In other words, expect introspection rather than heavy fogginess or extended couch lock. This strain will, eventually, cause you to feel drowsy, so it’s really best kept for use at night. If you must use it during the day, be sure to allow plenty of recovery time before undertaking any complex activity, especially driving. Even though Blue Venom is 30% Sativa, it stays about average height for a photoperiod Indica marijuana plant. In other words, it has an indoor minimum height of about 1M and an outdoor maximum height of 1.5M. As always, if you can provide exceptionally good growing conditions, then you may find that a marijuana plant or two may grow a bit taller. Yields are also in line with what you would expect from a high-quality photoperiod Indica, namely about 350g/m2 to 550g/m2 indoors and up to 1Kg per marijuana plant indoors. Overall Blue Venom is a very robust and unfussy strain, which will grow equally well indoors or outdoors. There are, however, a few points to keep in mind when preparing your grow. Above all, you will need to allow space for this strain to grow outwards as well as upwards. This is important with all cannabis strains and particularly so with this one because the buds are both large and dense which means that if they get wet (or even just damp) and there is no flow of fresh air to dry them off quickly, then you are just about asking for a case of the dreaded mould. In an ideal world, you want your buds to avoid getting wet in the first place, which is where indoor growers have a distinct advantage and which is why outdoor growers need to be careful about their choice of growing site. 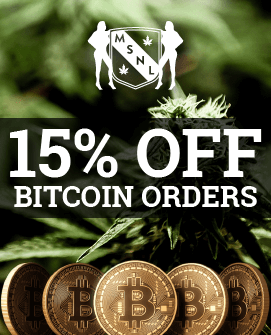 For the most part, we’d say that this strain is a feasible choice for beginners, especially if they have some experience of gardening and/or are growing outdoors. 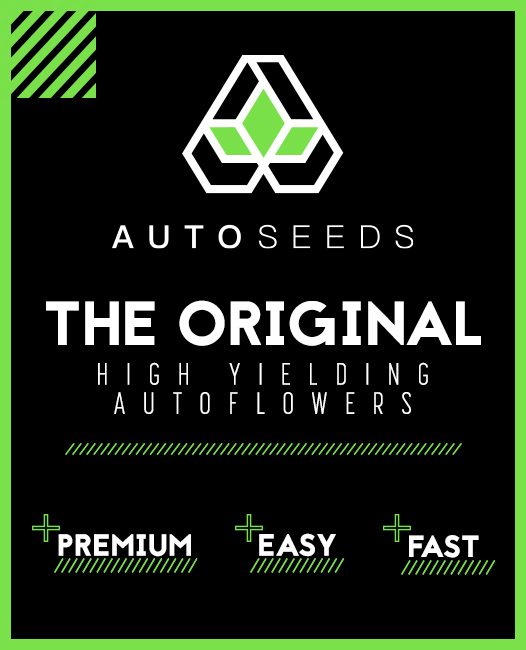 Beginners growing indoors might want to cut their teeth with an autoflowering strain first but if you’re confident you can handle light cycles and/or you’ve already grown an autoflowering strain successfully, then this strain could be a great choice. Blue Venom will be ready after 8 to 9 weeks of flowering (indoors) or in late September to early October (outdoors). It gets rather fragrant towards the latter end of the flowering period, so indoor growers will want to have air filters in place by then and outdoor growers will want to keep that in mind when considering where to site their plants. The taste of Blue Venom is very much a reflection of the Blueberry side of the parentage. It’s absolutely full of fruits, especially berries and in particular, of course, blueberries. There really isn’t much of the way of Skunk. The aroma, by contrast, does have light Skunk undertones, although the fruitiness is very much to the fore. Although the “Blue” in “Blue Venom” is essentially a reference to the parentage, if you’re lucky, you may be able to induce some blue or purple colouring if you expose it to cooler conditions at night. Even if you can’t manage that, this strain is still very pleasing to the eye with its combination of frosty THC crystals and warm green leaves with orange hairs. Even though Auto Lemon Zkittle is, as its name suggests, an autoflowering strain, it has an average of about 20% THC, which is enough for quick and effective pain relief and a high which is stimulating rather than potentially overwhelming. The fact that Auto Lemon Zkittle is Sativa dominant means that the high is essentially light, refreshing and cerebral, but the 40% Indica genetics do help to keep everything anchored so the high is rather more laid back and relaxed than you’d expect from a pure Sativa. The same comments apply in reverse to the body stone which follows. The Indica genetics mean that it’s deep, warm and comforting, but the Sativa influence stops it from becoming too intense. 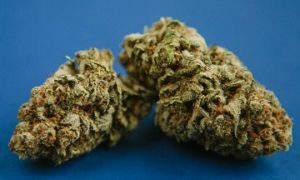 All in all, therefore, this is a very flexible cannabis strain, which can be used in the day time or in the evening. Even though Auto Lemon Zkittle is a Sativa dominant it grows into a fairly petit marijuana plant. Indoors it can stay as short as 1M in height and outdoors a realistic maximum would be about 1.3M, although if conditions are very good you may find that the occasional marijuana plant does grow a bit taller. Notwithstanding this, it produces some pretty respectable yields. You can look at up to 600g/m2 indoors and 400g per marijuana plant outdoors. Another piece of good news is that Auto Lemon Zkittle is a very robust strain (largely thanks to the Skunk genetics in its background). It is generally pretty tolerant of “beginner” mistakes such as under- or over-feeding and/or watering. Basically, as long as you pay attention to good ventilation (which prevents a whole host of marijuana-growing problems) then you should be able to collect a decent harvest. Robust odour control is also strongly recommended for the sake of your nostrils and to maintain good relations with your neighbours. It’s worth noting that although autoflowering strains do not respond to “proper” plant training (such as sea-of-green/screen-of-green methods), you do still have the option to increase your harvest through basic pruning. Essentially you want to ensure that the shape of your plants allows the light to reach the entire plant rather than just the uppermost leaves. This will encourage bud production. You will also need to ensure that you provide your plants with enough space to grow outwards as well as upwards and, if you are growing indoors, that your containers are a suitable size. On average Auto Lemon Zkittle needs about 75 days to go from seed to harvest (assuming about 20 hours of daily light). Please note, however, that although autoflowering strains switch to flowering as a result of growing time rather than lighting, their growth cycle is still not a completely exact science. If you have a particularly heavy-yielding phenotype then it may need an extra week or two even indoors and if you are growing outdoors then you probably want to assume that this strain will need about 100 days to be ready. As a final point, even though autoflowering strains can, in theory, be grown at any time of year, in practice, the fact that they need to be kept warm and dry and to have plenty of light means that outdoor growers will still need to think about the climate in their area before deciding when they can plant their seeds. As you’d expect from the name and breeding Auto Lemon Zkittle is a fruity-fresh strain with lots of emphasis on citrus flavours, especially lemon. There is, however, an undercurrent of Skunk and spice to provide strength and depth. The aroma mirrors the flavour very closely. It’s worth noting that even though many people love the odour produced when this strain is smoked, not everyone appreciates it, particularly since it’s on the strong side so you might want to give a bit of thought to when and where you smoke. Auto Lemon Zkittle is actually quite a fun strain to look at in a bag. Not only are the buds large and covered with eye-catching resin crystals, but they’re also very colourful. In fact, colours can range from a zingy green to a bright, sunshiney yellow. Nugs are moderately dense, we’d certainly recommend a grinder, although it has to be said we usually do. Lemon Meringue has average THC in the region of about 18% to about 22%. Since this strain is predominantly Sativa, the overall effect is upbeat to the point of euphoric, filling you with positive energy. Because of this, you might think of Lemon Meringue as a great “wake and bake” strain, but you might want to reconsider this point of view because it also has a fairly hefty 1% CBD, which means that as the initial head high ebbs away, you transition into a warm, comforting, full-body stone. This means that this strain is, arguably, best used at night, when the content will give you a quick blast of pain relief and/or relief from negative emotional states before the CBD takes over and does its work at a slower pace. If you are going to use it in the daytime, be sure to take the CBD content into account and leave yourself plenty of recovery time before doing anything complicated such as driving. There is no official information about the expected yield from Lemon Meringue but based on genetics and user reviews we would expect an indoor harvest of up to 450g/m2 and an outdoor harvest of up to 650g per marijuana plant. Similarly there is no official information about the expected height range of this strain, but again, based on genetics, we would expect an indoor minimum height of about 1.2M and an outdoor average height of about 1.8M, although it’s worth remembering that Lemon Skunk is on the taller side and so it’s definitely not out of the question that the occasional individual marijuana plant will grow a bit bigger if growing conditions are very good. Lemon Meringue has an indoor flowering time of 8 to 9 weeks and an outdoor harvest period of around mid October. 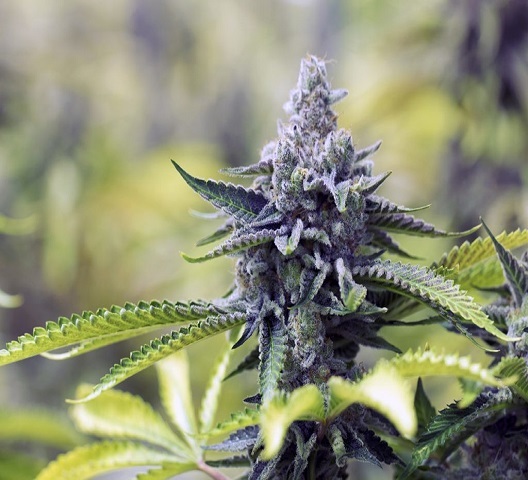 Since this strain really prefers life in the warm and dry, full outdoor growing is only likely to be a feasible option in the Mediterranean basis. People slightly further north might get away with outdoor growing as long as they are very careful to ensure that their growing site has effective protection for the elements but once you start getting to the northern end of continental Europe and beyond then you really need to start looking at Lemon Meringue as a strain for the greenhouse or indoors. 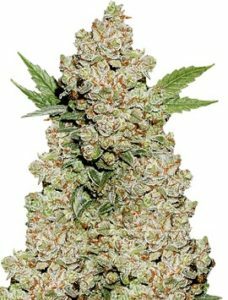 That being so, you will not only need to think about the issue of vertical height (and the question of whether or not you feel up to using plant training to reduce it) but you will also need to remember that this strain is about 30% Indica, which means that you will need to allow sufficient room for each marijuana plant to stretch its branches out horizontally as well as to grow upwards. Strains with a Skunk background tend to be fairly straightforward to grow and this one is no exception. As always, once you have found a suitable growing site, the single most important point is ensuring good ventilation and good odour control is also highly recommended, especially if you’re growing outdoors in an area where you have close neighbours. Other than that, you should be fine as long as you pay attention to your marijuana basics as this strain is fairly robust with decent resistance to mould, diseases and pests and its appetite for food and water is pretty reasonable. It’s probably not the ideal choice for complete beginners, but if you’ve grown an photoperiod strain already (or are a confident gardener) then you should be fine. The taste of Lemon Meringue really is very reminiscent of the dessert, but if we had to break it down, there’s a baseline which is somewhere between skunk and diesel and top notes of nuts and citrus, particularly lemon. This is all reflected in the aroma, so considerate smoking is definitely recommended as skunk and diesel are scents which divide opinion. Sadly Lemon Meringue doesn’t actually look like the dessert, that would probably be too much to hope for, but it does have dense green nugs, sprinkled with orange hairs and liberally dusted with frosty white THC crystals. You’ll definitely want to use a grinder on these nugs, as they are not only dense but gloriously sticky. Mimosa can have THC levels of between around 19% and around 27%, the exact level depends partly on phenome but mostly on the length of time the bud is left to develop. This is ample for providing pain relief to even more serious medical conditions and to lift people out of very negative emotional states. The high begins with a very upbeat lift, which is both motivational and focused and often brings on a tingling feeling in your head. This then mellows into a warm and comforting, but relatively light, full-body stone, which is very relaxing but is definitely not going to leave you couch-locked indefinitely. Mimosa is recognized as being rich in terpenes, especially limonene and beta-caryophyllene. Limonene has long been used in mainstream medicine and is now highly valued in medical cannabis. It’s known as having a beneficial effect on a person’s mood and also as having antifungal and antibacterial properties. It is believed that it may be useful in dealing with heartburn and gastric reflux. Beta-caryophyllene also has a beneficial effect on a person’s mood and has anti-inflammatory and analgesic properties. There is some evidence to suggest that it can reduce alcohol cravings and it is being studied as a treatment for cancer. All in all, therefore, this strain is great as a daytime treatment for severe pain and serious emotional issues. It has become particularly popular for dealing with migraines. There is no official information on the expected yield for Mimosa, however, based on genetics, we would expect around 350g/m2 to 400g/m2 indoors and about 400g per marijuana plant outdoors. Similarly, we’ve been unable to find any official information regarding the height range for this strain, but on much the same logic, we’d expect an indoor minimum height of about 1.5M and an outdoor average height of about 1.8M. Given this strain’s Sativa dominance, it’s not entirely out of the question that you’ll see an individual marijuana plant or two grow past this, if growing conditions are very good. It’s also important to note that this strain is still 30% Indica so when you’re calculating how many plants you can fit in your growing area, you’ll need to allow for the fact that each marijuana plant will want to stretch outwards as well as upwards. In addition to ensuring good ventilation, you will need to think about odour control. 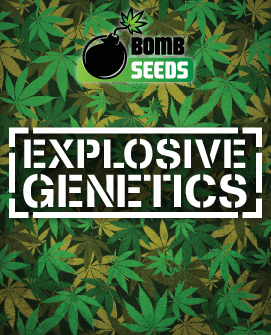 This isn’t the strongest-smelling strain there is around right now but it can still get fairly powerful towards the end of the flowering period, particularly if you are growing in an enclosed space. Even outdoors, you’ll want to have a think about the prevailing winds and any neighbours who might get upset by the smell. Indoors Mimosa needs about 8 to 9 weeks of flowering time and outdoors it will be ready around the middle of October. Realistically speaking, this strain will only be happy outdoors in the warmest, driest and sunniest of climates, which in Europe basically means the Mediterranean basin. Growers slightly further north of this may be able to grow outdoors as long as they pay very careful attention to finding a growing site which has outstanding protection from wind and rain (especially the latter). Towards the northern end of continental Europe and beyond, it’s probably best to view Mimosa as being a strain for the greenhouse or for indoors. Even though Mimosa is, presumably, named after the beverage, it neither smells nor tastes like it (in our opinion). The base notes are of sweet earth and wood, although there are sour notes to balance them. It is, however, the sourness of fruit candy, rather than, say, fuel, or skunk pungency. The top line is mostly fruity, with clear notes of tropical fruits, berries (including grapes) and citrus as well as a slightly peppery edge. Similar comments apply to the aroma although the notes of wood are clearer and there are also hints of flowers and herbs. Mimosa buds have rounded dense small olive green nugs with lots of dark orange hairs and a coating of bright white crystal trichomes. Harlequin has an average THC content of between 7% and 15% and also an average CBD content of between 7% and 15%. It generally has a THC:CBD ratio of 2:5. Its effect, however, may not be what you would have expected from that description. The THC content is enough to provide anything from a positivity-filled head buzz to a very mild high (depending on the exact content). The uplift feels rather like you would expect from an Indica in that it is typically mellow, joyous and contemplative instead of inspirational, energetic and euphoric, but the Sativa dominance keeps it all quite light. 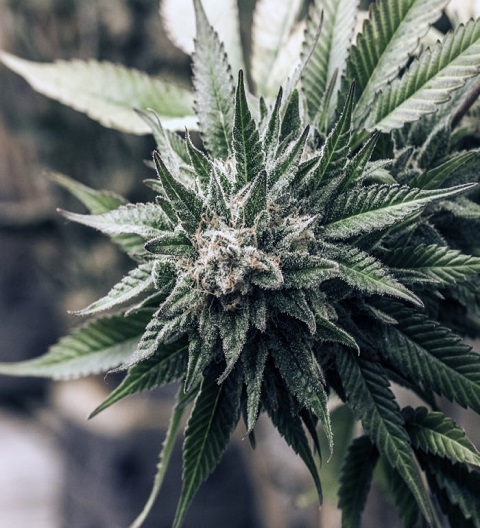 As the head high ebbs, the CBD gets to work, it not only ensures that the initial buzz fades smoothly away, but amplifies the pain-relieving properties of the THC and also adds its own medical benefits, especially the ability to alleviate muscle spasms. Putting all this together and it’s easy to see why Harlequin has become one of the main “go to” strains of medical cannabis for people suffering from a wide range of chronic conditions, particularly arthritis. It’s arguably best kept for night-time use (assuming your condition allows you a choice), but if you do need a high-CBD strain for daytime use then this is certainly one of your better options. This strain can produce some pretty impressive yields. Indoor growers can expect up to 750g/m2 and outdoor growers can expect up to 600g per marijuana plant. Big yields, however, tend to mean big plants, especially when you’re talking about Sativa-dominant strains and even indoors Harlequin can reach a good 1.8M, outdoors it can easily grow past 2M in height and if growing conditions are particularly good, you may even see an individual marijuana plant or two head towards 2.5M. Interestingly, for all its height and Sativa genetics, Harlequin does tend to look like an oversized Indica with lots of lateral branching, which means that you need to allocate space for each marijuana plant to grow horizontally as well as vertically and you will also need to allow space for supports later in flowering. Harlequin is actually surprisingly quick (given its height and genetics) with a standard indoor flowering period of 8 to 9 weeks. If you are aiming for the upper end of the THC range and/or maximum harvest then you could leave your plants to flower for a 10th week, if, however, you leave them to flower for any longer than this then it is highly likely that the THC content will come to exceed the CBD content and that this will change the nature of the effects. Outdoor growers should expect to collect their harvest around the middle of October. Even though this strain is very robust overall (due to its landrace genetics), it still has a distinct preference for life in a warm, dry and sunny environment, which means that growers to the north of the Mediterranean basin will need to be very careful about choosing a growing space and might be better to treat this strain as being one for the greenhouse or indoors. The flavour of Harlequin is not quite such a patchwork as the genetics but it’s still nicely complex and satisfying. There is an earth base topped by sweet wood and tropical mango and finished off with the freshness of citrus and a dash of herbs and spices. The smoke is very smooth and unlikely to trigger coughing unless you have a particularly sensitive throat, in which case, you should be fine with a vaporizer.